Blocked by a Supreme Court decision from using GPS tracking devices without a warrant, federal investigators and other law enforcement agencies are turning to a new, more powerful and more threatening technology in their bid to spy more freely on those they suspect of drug crimes. That's leading civil libertarians, electronic privacy advocates, and even some federal judges to raise the alarm about a new surveillance technology whose use has yet to be taken up definitively by the federal courts. When a suspect makes a phone call, the StingRay tricks the cell into sending its signal back to the police, thus preventing the signal from traveling back to the suspect's wireless carrier. But not only does StingRay track the targeted cell phone, it also extracts data off potentially thousands of other cell phone users in the area. Originally intended for terrorism investigations, the feds and local law enforcement agencies are now using the James Bond-type surveillance to track cell phones in drug war cases across the nation without a warrant. Federal officials say that is fine -- responding to a Freedom of Information Act (FOIA) request filed by the Electronic Freedom Foundation (EFF) and the First Amendment Coalition, the Justice Department argued that no warrant was needed to use StingRay technology. "If a device is not capturing the contents of a particular dialogue call, the device does not require a warrant, but only a court order under the Pen Register Statute showing the material obtained is relevant to an ongoing investigation," the department wrote. 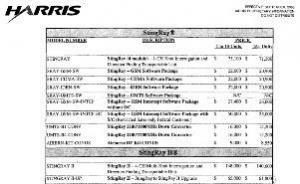 The FBI claims that it is adhering to lawful standards in using StingRay. "The bureau advises field officers to work closely with the US Attorney's Office in their districts to comply with legal requirements," FBI spokesman Chris Allen told the Washington Post last week, but the agency has refused to fully disclose whether or not its agents obtain probable cause warrants to track phones using the controversial device. And the federal government's response to the EFF's FOIA about Stingray wasn't exactly responsive. While the FOIA request generated over 20,000 records related to StingRay, the Justice Department released only a pair of court orders and a handful of heavily redacted documents that didn't explain when and how the technology was used. The LA Weekly reported in January that the StingRay "intended to fight terrorism was used in far more routine Los Angeles Police criminal investigations," apparently without the courts' knowledge that it probes the lives of non-suspects living in the same neighborhood with a suspect. Critics say the technology wrongfully invades technology and that its uncontrolled use by law enforcement raised constitutional questions. "It is the biggest threat to cell phone privacy you don't know about," EFF said in a statement. ACLU privacy researcher Christopher Soghoian told a Yale Law School Location Tracking and Biometrics Conference panel last month that "the government uses the device either when a target is routinely and quickly changing phones to thwart a wiretap or when police don't have sufficient cause for a warrant." "The government is hiding information about new surveillance technology not only from the public, but even from the courts," ACLU staff attorney Linda Lye wrote in a legal brief in the first pending federal StingRay case (see below). "By keeping courts in the dark about new technologies, the government is essentially seeking to write its own search warrants, and that's not how the Constitution works." Lye further expressed concern over the StingRay's ability to interfere with cell phone signals in violation of Federal Communication Act. "We haven't seen documents suggesting the LAPD or any other agency have sought or obtained FCC authorization," she wrote. "If the government shows up in your neighborhood, essentially every phone is going to check in with the government," said the ACLU's Soghoian. "The government is sending signals through people's walls and clothes and capturing information about innocent people. That's not much different than using invasive technology to search every house on a block," Soghoian said during interviews with reporters covering the StingRay story. Crack defense attorney Stephen Leckar who scored a victory in a landmark Supreme Court decision over the feds' warrantless use of a GPS tracker in US v. Jones, a cocaine trafficking case where the government tracked Jones' vehicle for weeks without a warrant, also has concerns. "Anytime the government refuses to disclose the ambit of its investigatory device, one has to wonder, what's really happening," he told the Chronicle. "If without a warrant the feds use this sophisticated device for entry into people's homes, accessing private information, they may run afoul of a concurring opinion by Justice Alito, who ruled in US v Jones whether people would view unwarranted monitoring of their home or property as Constitutionally repugnant." Leckar cited Supreme Court precedent in Katz v. US (privacy) and US v. Kyllo (thermal imaging), where the Supreme Court prohibited searches conducted by police from outside the home to obtain information behind closed doors. Similar legal thinking marked February's Supreme Court decision in a case where it prohibited the warrantless use of drug dogs to sniff a residence, Florida v. Jardines. The EFF FOIA lawsuit shed light on how the US government sold StingRay devices to state and local law enforcement agencies for use specifically in drug cases. The Los Angeles and Fort Worth police departments have publicly acknowledged buying the devices, and records show that they are using them for drug investigations. "Out of 155 cell phone investigations conducted by LAPD between June and September 2012, none of these cases involved terrorism, but primarily involved drugs and other felonies," said Peter Scheer, director of the First Amendment Center. The StingRay technology is so new and so powerful that it not only raises Fourth Amendment concerns, it also raises questions about whether police and federal agents are withholding information about it from judges to win approval to monitor suspects without meeting the probable cause standard required by the Fourth. At least one federal judge thinks they are. Magistrate Judge Brian Owsley of the Southern District of Texas in Corpus Christi told the Yale conference federal prosecutors are using clever techniques to fool judges into allowing use of StingRay. They will draft surveillance requests to appear as Pen Register applications, which don't need to meet the probable cause standards. "After receiving a second StingRay request," Owsley told the panel, "I emailed every magistrate judge in the country telling them about the device. And hardly anyone understood them." In a earlier decision related to a Cell-site Simulator, Judge Owsley denied a DEA request to obtain data information to identify where the cell phone belonging to a drug trafficker was located. DEA wanted to use the suspect's E911 emergency tracking system that is operated by the wireless carrier. E911 trackers reads signals sent to satellites from a cell phone's GPS chip or by triangulation of radio transmitted signal. Owsley told the panel that federal agents and US attorneys often apply for a court order to show that any information obtained with a StingRay falls under the Stored Communication Act and the Pen Register statute. DEA later petitioned Judge Owsley to issue an order allowing the agent to track a known drug dealer with the StingRay. DEA emphasized to Owsley how urgently they needed approval because the dealer had repeatedly changed cell phones while they spied on him. Owsley flatly denied the request, indicating the StingRay was not covered under federal statute and that DEA and prosecutors had failed to disclose what they expected to obtain through the use of the stored data inside the drug dealer's phone, protected by the Fourth Amendment. "There was no affidavit attached to demonstrate probable cause as required by law under rule 41 of federal criminal procedures," Owsley pointed out. The swiping of data off wireless phones is "cell tower dumps on steroids," Owsley concluded. But judges in other districts have ruled favorably for the government. A federal magistrate judge in Houston approved DEA request for cell tower data without probable cause. More recently, New York Southern District Federal Magistrate Judge Gabriel Gorenstein approved warrantless cell-site data. "The government did not install the tracking device -- and the cell user chose to carry the phone that permitted transmission of its information to a carrier," Gorenstein held in that opinion. "Therefore no warrant is needed." In a related case, US District Court Judge Liam O'Grady of the Northern District of Virginia ruled that the government could obtain data from Twitter accounts of three Wikileakers without a warrant. Because they had turned over their IP addresses when they opened their Twitter accounts, they had no expectation of privacy, he ruled. 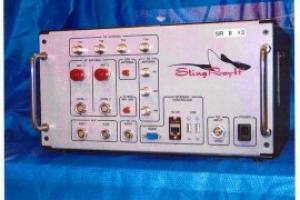 A federal judge in Arizona is now set to render a decision in the nation's first StingRay case. After a hearing last week, the court in US v. Rigmaiden is expected to issue a ruling that could set privacy limits on how law enforcement uses the new technology. Just as the issue of GPS tracking technology eventually ended up before the Supreme Court, this latest iteration of the ongoing balancing act between enabling law enforcement to do its job and protecting the privacy and Fourth Amendment rights of citizens could well be headed there, too. If a writer were to do a sci-fi themed script focused on ending anonymity and privacy in some civilization of the present, what better way than that of creating a specious social crisis that inherently requires the end of privacy and freedom to achieve an illusion of victory over a non-existent problem? All other ports were blocked. Moreover, even those 4 ports were blocked unless I used the protocol traditionally associated with that port. For example, secure shell (ssh) could not be used on ports 80, 443, or 995. Only on 22. I'm able to make such tests because I operate a webserver in the Midwest. I was in downtown DC, in various buildings not far from Constitution Avenue for a week. I have never had such an experience anywhere else, or at any other time. The same thing also happens in McLean, VA, a Washington suburb. "When a suspect makes a phone call, the StingRay tricks the cell into sending its signal back to the police, thus preventing the signal from traveling back to the suspect's wireless carrier." Does anyone want to argue with my hunch that the reason for the blockage is that the police aren't prepared to sniff arbitrary connections using arbitrary protocols initiated at arbitrary ports? I mentioned it to others standing in the line with me. Nobody even smiled. We all knew years ago off the likelihood for this to happen...1984 was already real....yet it was denied or irrelevant to daily life....besides what were we to do...?? Once you start seriously investigating hemp, it makes you really start looking at the lies in our society. Another massive corporate inspired tragedy is about to happen called the Trans pacific partnership ( TPP), it being negotiated right now between many governments and 500+ large businesses behind closed doors and not being debated. Do a search you will see its not being talked about in the mainstream media. By tying marijuana legalization with a boost to the tax coffers it is more likely to pass. It is pretty simple. The biggest problem with Libertarians is we are too stubborn to play the game progressives have that has allowed them to push this country to big overbearing government for the past century. Little steps can and do work. I think this is an instructive post and it is voyance en ligne and educated. Accordingly, I might want to thank you for the endeavors you have made recorded as a hard copy this article. Buy quality and real followers, buy instagram followers from the world's most trusted follower buying site at the most affordable cost. Youtube, facebook, twitter services. 24/7 is available to us from our customer service and supported. Appreciative to you for some other educational site. The spot else may just I get that sort of data written in such an ideal strategy. I have an endeavor that I am just right let's have game improvement irons list running on, and I've been at the post for such information. Much esteemed you particularly for sharing these affiliations. Appreciated perusing the article above This article is followed by many people to find reviews. every post needed for understanding your? website shared new concepts. terminator 4 jacket online Then all the people enjoyed with the great values and pages. The representatives available at Netflix technical support number always remain ready to respond to your significant query, so feel free to call talk to us irrespective. If you want to ask anything related to netflix.com/tvhelp then contact our tech enthusiasts who are always ready to help you at every step. So, don’t waste your time in thinking, just get in touch with us and bring your device on the working track in limited time possible. HOW MUCH DOES SILVER SINGLES COST PER MONTH? SilverSingles has been driving the route in senior dating since the site propelled in 2002. As a major aspect of Sparks Network, the dating stage is a solid and respectable spot to make the association of qualified seniors in your general vicinity. You can select for nothing and look at the more than 50 dating scenes. This claim is entirely dependable and up to the mark. Confirm the details with the executives over Silver singles Customer Care Number +1(888)671-6444. If you having any issues related yahoo account and getting in to sign up and login then just dial yahoo change password talk to our person and get the assistance asap. Microsoft Customer Support provides online support for your technical issue Microsoft products. The team of online support is experience in dealing with tech issues online. Unable To Search Favorite Movies On Netflix: How To Fix This Issue? Various individuals are confronting an issue in Netflix, which bars them from looking through the top of the line films on the stage. They trust that the organization may have expelled a portion of those motion pictures from its system. What the main problem is and how to dispose of it, how about we discover in this post. Individuals have had a go at checking the films on Netflix.com and on the Netflix application, yet they got no outcomes. Some have even reached Netflix bolster suppliers at help.Netflix.com activate got no better than average reaction. How to Find the Top-Rated Movies on Netflix? Various individuals are not thinking that its simple to get top of the line motion pictures or TV appears on Netflix. This could be irritating and leave you without a friend in the world. In such situation, you should contact at focus and get them mindful of the issue that you are confronting. They will offer full help in regards to how to look through your most loved motion pictures and TV appears, and furthermore offer persevering help in fixing any issue identified with this 'seek perspective'. Moreover, on the off chance that you can dispose of this trivial issue without anyone else, at that point it would be extraordinary. Individuals ought to likewise check whether their Netflix account has been activated or not. This can be checked by going to www Netflix com activate interface. The main thing that you have to perform login and click on inquiry bar, which is accessible on the highest point of the page. On the off chance that you know precisely for which motion picture you are searching for, at that point essentially type the name and snap on inquiry alternative. The site will demonstrate to you the most suitable and coordinating outcomes dependent on the watchwords that you have entered. In the event that you are hoping to get a whole rundown of top of the line motion pictures, which are accessible on Netflix, at that point you should change 'arranging' settings. You should tap on refining the pursuit and you should tap on top diagrams. This will consequently show the most appraised films rundown and after that you can pick any of them. Guarantee that you have utilized the pertinent catchphrase, in addition to the choice of refined pursuit is likewise turned on. With this, you will get the exact outcomes. On the off chance that you run over any issue while marking into your Netflix account, at that point you can take from specialists. In the event that you are working from a cell phone, at that point the main thing that you ought to do is download Netflix application on your gadget from the Play Store or from the App Store for Android and iOS gadgets individually. Once the download is finished, given it a chance to introduce on the gadget and afterward activate your Netflix account by going to Netflix com activate interface. You are going to see all the first class seasons alongside scenes on the landing page. You will likewise observe a rundown of top diagrams for motion pictures and TV appears. You can pick the one from this rundown and after that click on the download choice for starting the download. The application is going to take to you to the installment choice, and once you affirm the installment, at that point the download is going to begin consequently. Ensure you click on the correct film that you wish to download. Alongside that, you can include subtleties of the motion picture that you need to download or watch. Doing this will enable you to see all the applicable outcomes for your inquiry. On the off chance that you go over any issue, at that point you have the alternative of connecting with Netflix specialists through appropriate channels, i.e., help.Netflix.com. Among significant players who are utilizing Netflix administrations, Apple is one of the most recent recipients. The apple Netflix administration was accessible on iOS for quite a while. In any case, it has authoritatively set foot in the Apple TV condition with TVOS application for apple. Of course, a protected Netflix Com Activate is utilized there as well. Aside from that, TVOS additionally has a great deal of applications, Netflix was most likely a since a long time ago requested application. Here, we will talk about how to settle the mistake code issue on Netflix application for Apple TV. Apple TV reverberated with a similar brand personality of Apple as its items. Its quick, smart and solid. Nonetheless, the equivalent can't be said about gushing media applications like Hulu and Netflix. These applications are constructed directly for the framework with negligible disappointment cost however it can happen to any gadget whenever. Netflix is a standout amongst the most looked for after administrations and has a ton of clients. Netflix utilizes Netflix Com Login to process video spilling. Since it keeps running on an outsider equipment, odds of having a disappointment are a ton to state. Aside from that, applications like Netflix depend on remote network of the web a ton. In spite of the fact that it has progressed by numerous folds, there are times when the web can't be basically depended upon. The system clog is excessively genuine notwithstanding for the present guidelines. The issue with Netflix would not begin by and large at initiation since www Netflix Com Activate is a light and streamlined page to stack. It would work even in the weakest web association. The issue begins after the initiation has been finished. The issue with Netflix over that timeframe can happen at different contact focuses with the web. As Netflix Help Center proposes, there can be a great deal of system focuses. First off, the gadget itself utilizes a remote association if there should arise an occurrence of an Apple TV. Thus remote association can be an issue. It goes by means of ISP and that can likewise be an issue since ISPs can likewise be dealt. The flag goes remote to a great many miles and that can likewise be an issue. The issue can likewise be identified with setup settings and that can prompt a ton of further issues. Here we will talk about one such mistake code which has made an issue for Apple TV clients. One reason why we purchase Apple TV is for the ease of the applications. In the event that the ease is tested, there comes when we scan for an answer. There have been a great deal of objections on Help.Netflix.Com that the blunder code is identified with the mistake message that "The substance neglected to stack". Presently, this is certainly not another issue however since it is happening on Apple TV is a stunning thing to see. The substance is likewise conveyed by means of Netflix on different stages, for example, portable application. Clients have additionally checked their login certifications at Netflix.Com Sign In Help. Apple TV does not give numerous choices, for example, store clearing to clients as well. The applications are very minimalized to settings setups and clients can't do much in settings as well. Be that as it may, a basic answer for this issue has worked. In the event that you are utilizing the iOS application for Apple TV, go to settings, general and after that select restart. On the off chance that you are utilizing Apple TV remote, hold the power and menu catches for a fast restart. These are some manners by which numerous clients have freed of this issue. Nonetheless, on the off chance that you don't get wanted outcomes, at that point you can call apple care official for an on location fix.